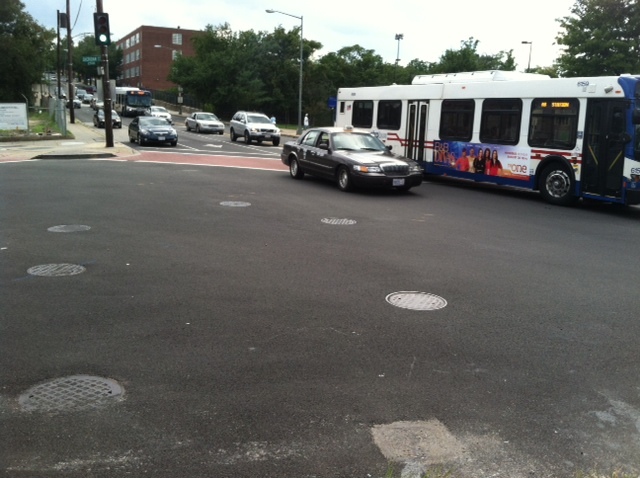 StreetPrintXD Crosswalks on Martin Luther King Jr. Avenue SE, Washington DC | My Asphalt Dr.
Martin Luther King Jr. Avenue SE in Washington DC recently added 29 high-performance StreetPrintXD crosswalks. 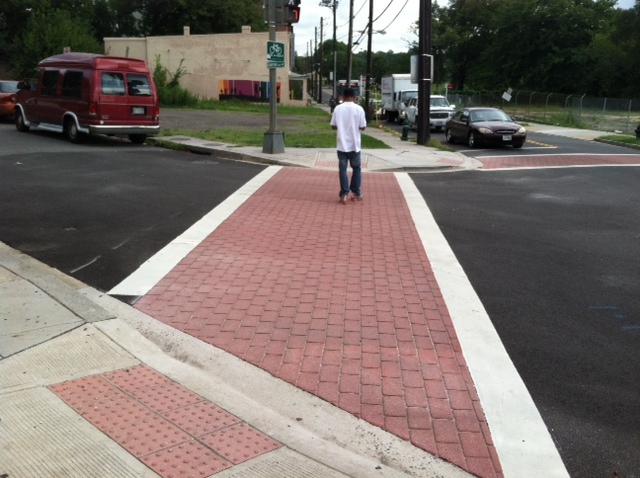 These decorative thermoplastic crosswalks were installed from Howard Road SE to Good Hope Road SE. StreetPrintXD will provide a practical, durable, and attractive solution for an area that is high in vehicle and pedestrian traffic. StreetPrintXD is a popular option in areas like this because they give the same great look of real brick pavers; but are more cost-effective and more road-safe, providing a smooth and trip-hazard free path across busy roads. unlike regular thermoplastics, which are typically 90 mils thick with glass beads; StreetPrintXD is 180 mils thick and aggregate reinforced. Making it stronger, as well as non-skid. 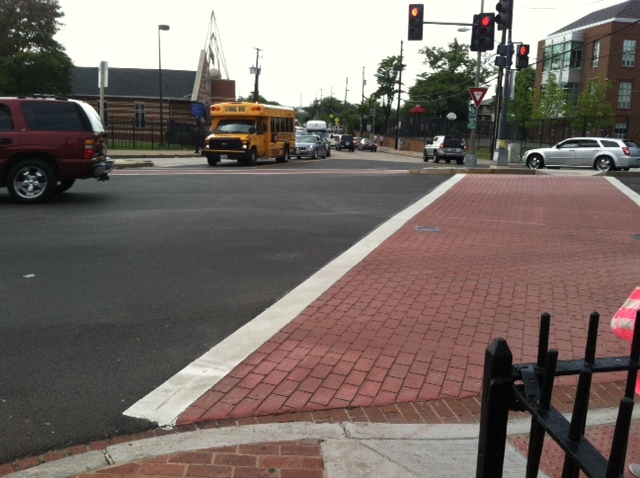 Martin Luther King Jr. Avenue SE is now road-safe and trip-hazard free. 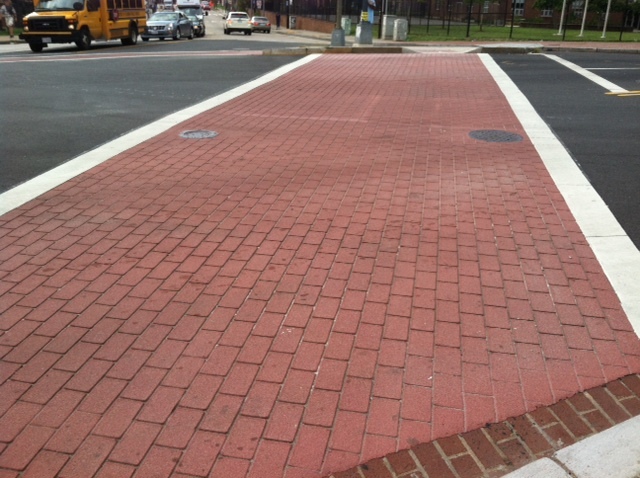 Alternative Paving Concepts installed these crosswalks in a brick pattern and color, complimenting the brick buildings along MLK.